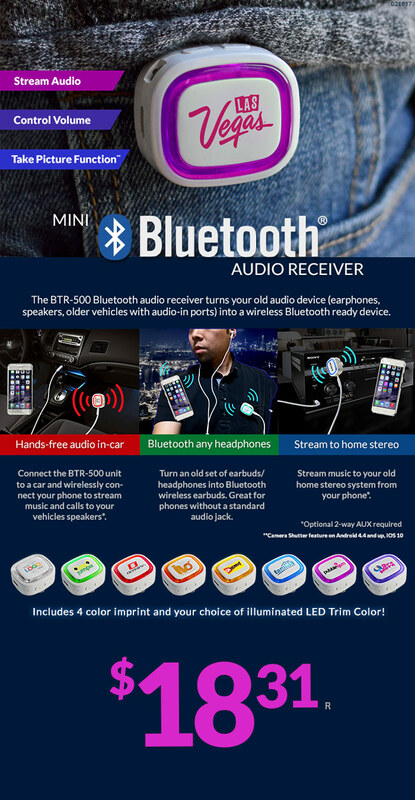 Make any receiver into a Bluetooth receiver with the BTR-500 audio device from Corporate Key. Multiple colors, and large imprint area. Please contact us at info@proformagreen.com if you would like more information on BTR-500 audio device from Corporate Key.